What's new in Music Connect? 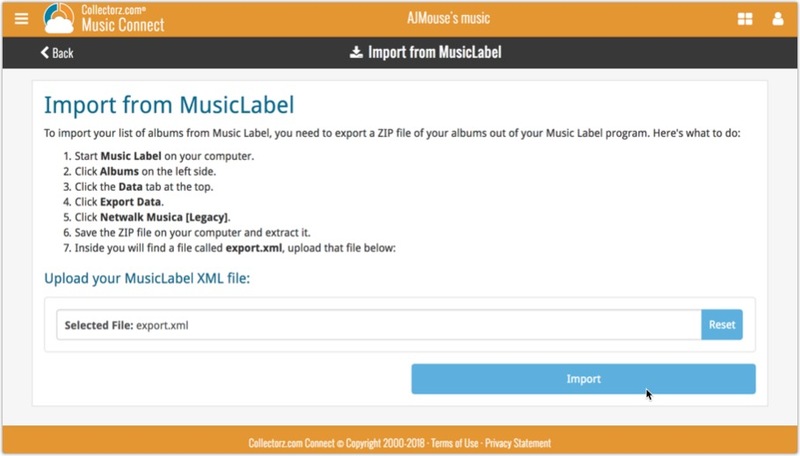 If you’re a new user or thinking of moving your collection from the program “Music Label” to Music Connect, good news: we’ve just added a new Music Label import tool in Music Connect! You can find the Music Label import tool under the menu top left, then choose “Import Data”.